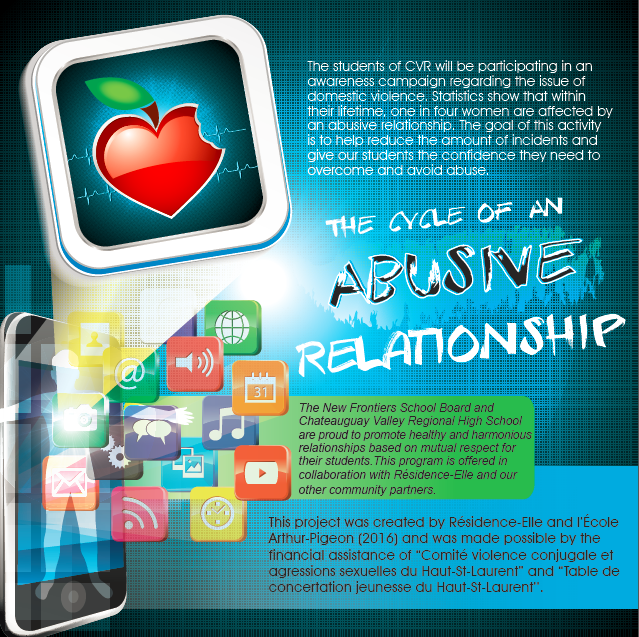 To create awareness about healthy relationships amongst our students at HAECC, our Adult General Education classes will participate, on February 14th, 2019, in a presentation on The Cycle of an Abusive Relationship. This project was created by CVR, Residence-Elle & CISSS-MO, and financed by the ‘’Comité Violence Conjugale et Aggressions Sexuelles du Haut-St-Laurent’’, as well as the ‘’Table de Concertation Jeunesse du Haut-St-Laurent’’. The goal of the project is to reduce the incidences of domestic violence. To do so, the students will participate in an interactive labyrinth in different locations at CVR and witness the daily life of a young couple, following the evolution of a romantic relationship. 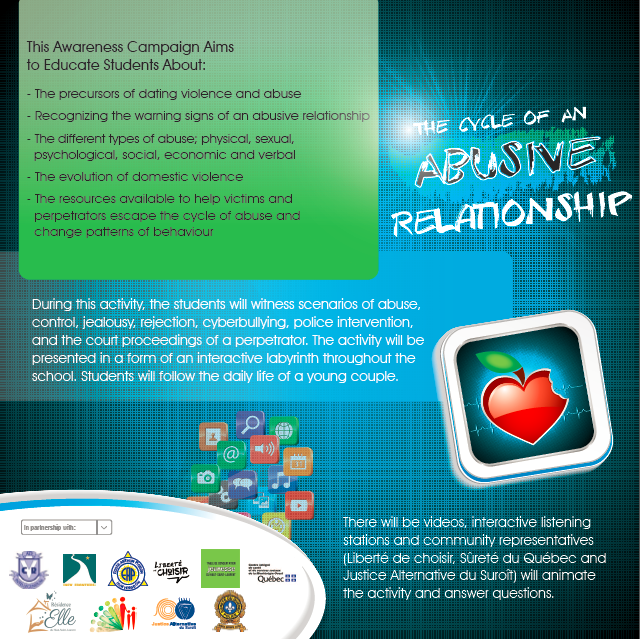 This experience will also allow the students to familiarize themselves with different resources that are available to them and possible solutions to put an end to an unhealthy relationship and thus encouraging relationships of respect and equality.